Three suspects have been handed over to the Waigani Police Station Commander by community members, while ten others have been identified following an ethnic clash between the Enga and Southern Erave Community on New Year’s Day. This clash also resulted in attacks on young women and girls who claimed that they were also raped by suspects from Enga on the same day. The victims had come forward on Wednesday to speak to reporters about the frightening ordeal they had to encounter in the midst of a clash between two ethnic groups at Waigani. 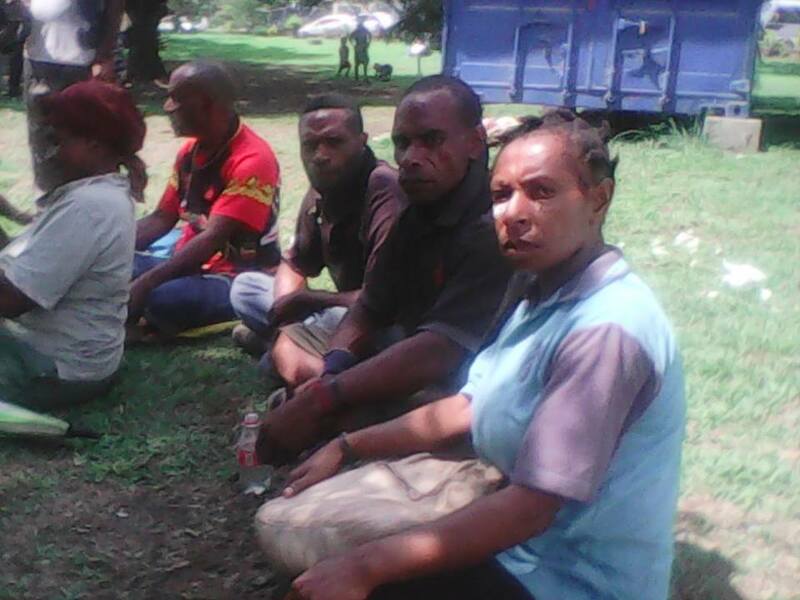 Waigani Police Station commander inspector Micah Yosman tells PNGFM that these men will be forwarded to Boroko CID office for processing and arrests soon. Mr Yosman thanked the Morata one community and their leaders for bringing forward three suspects and indentifying ten others who are all from Wabag. The Waigani Police station commander second in charge Andrew Geluwa, said police at that time were late in responding to this incident because of road conditions but did recue and aid those victims to the hospital. No action will result in a PROTEST MARCH by the community and their victims who were abused and allegedly raped during the fight. NCD Women Council President Maria Andrews said women leaders here in NCD and the community leaders of Morata one and the victims’ families will meet today and discuss the protest march. The United Nations has also condemned the alleged sexual attack on four women .